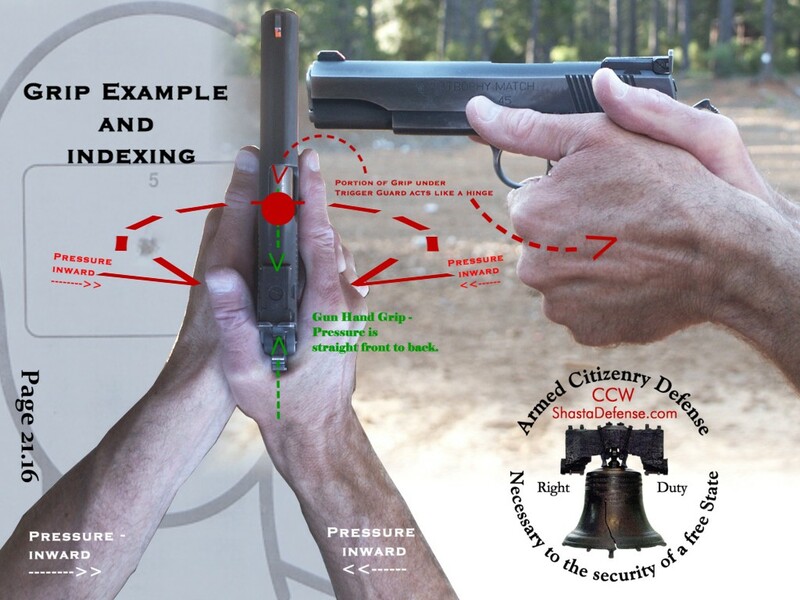 Do you know how to handle a firearm safely (Correct Ammunition ) Part IV? My prior articles covered the three Fundamental Rules of Firearm Safety (i.e., Always keep the gun pointed in a safe direction; Always keep your finger off the trigger until ready to shoot; and Always keep the firearm unloaded until ready to use). Also, we covered other gun safety rules (i.e., Know your target and what is beyond; Know how to use the gun safely; and Be Sure Your Gun is Safe to Operate. ). (Rule source: NRA). Today, we cover the additional Gun Safety Rule - Use only the Correct Ammunition for the Gun. How do you know what ammunition is proper for your firearm? Do a basic safety check. Most firearms will have the ammunition type stamped on the barrel, frame or slide (e.g., .22 Cal. Long Rifle; .380 Auto; .38 SPL; .38 SPL+P; .40; .44 SPL; .357 Magnum, .45 Auto, etc...). Next, the box or carton containing the ammunition which you purchase from your firearms dealer will have the type of ammunition marked on it. Lastly, most center-fire cartridges will have a "headstamp" on the base of the cartridge around the primer showing the cartridge designation. When ammunition is designated +P (Plus P) or +P+ (Plus P Plus), that means that such are higher pressure cartridges and should only be fired in firearms designed for such higher pressures. For your safety, it is critical that you only fire the proper ammunition in your firearm. Check your pistol or firearm owners manual. If you have questions, then consult the gun manufacturer, or a knowledgeable person. Serious injury may result if you use the wrong ammunition. Further, just because the cartridge "fits" into the gun doesn’t mean it is safe to fire in that firearm. If there is any question, then don’t use the ammunition. Also, use factory ammunition and don’t use reloaded ammunition. Unless the person who reloads the ammunition knows what they are doing and has procedures in place to make certain that the loads are proper, injury may result. For example, in one instance a person reloaded some .45 Auto ammunition for his friend, but had put too much powder in the cartridge. The excessive powder resulted in the gun blowing up in the shooters hand. A piece of metal was imbedded in the shooters face. Fortunately, there was no permanent injury (the shooter was wearing eye protection and no fingers were lost). Ammunition should generally be stored separately from firearms, and should be stored in a cool, dry area. It should not be accessible to unauthorized persons (especially children). Keep the ammunition in the factory box or carton so that it can be properly identified. Extreme high temperatures (e.g., such as those found in the attic or car trunk) should be avoided. You should wipe your fingerprints from ammunition as the acids, chemicals and salts from fingerprints can result in corrosion. Also, storing ammunition in leather cartridge belts can result in corrosion due to the acids in the leather. Don’t submerge your ammunition in water, or expose it to solvents, petroleum products (including gun oil) or other chemicals. Such may penetrate a cartridge and cause the primer and / or powder to deteriorate. The above is merely an introductory article and is not a substitute for taking a firearm safety and training course. Nathan Zeliff is an authorized instructor for Concealed Weapon Permit Courses in Shasta and Tehama Counties; and is a Certified NRA Instructor in the following disciplines: Pistol, Rifle, and Personal Protection in the Home.